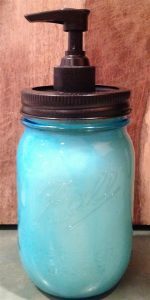 As a money saving and detoxifying measure, we have decided to make our own liquid hand soap. With that decision comes the need for a soap dispenser. I’ve been keeping my eye on Ball Heritage Mason Jars in blue and this was the perfect use for them! 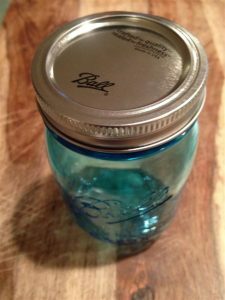 With lid on jar, drill a hole in the center with a spade bit the size of your pump base. Insert pump to fit flush on lid adding a little hot glue if necessary to keep in place (mine was a snug fit and glue was not needed). 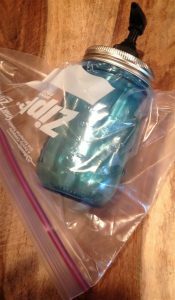 Unscrew lid and place jar in a large Ziploc bag upside down. 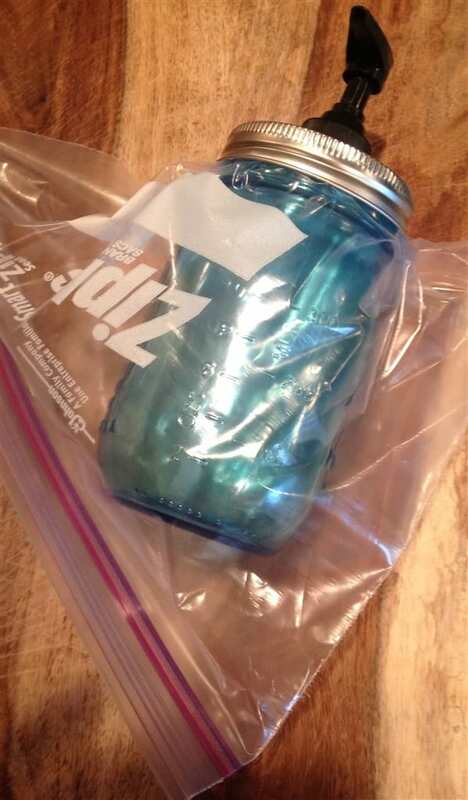 stuff bag down inside the jar opening and replace lid with pump. 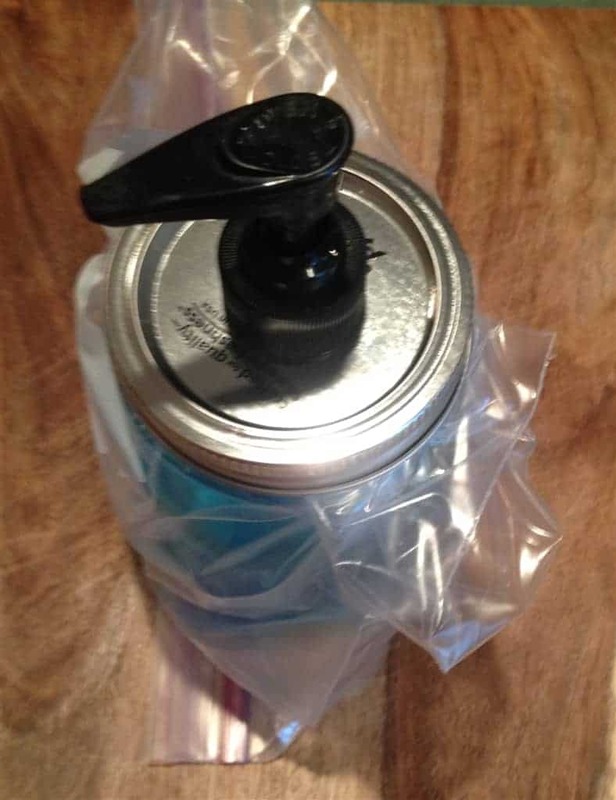 This will keep the jar safe from paint. Paint the jar lid with Rust-Oleum Metallic any surface spray paint. We used the ‘oil rubbed bronze’ color. This paint has held up quite well! Let the paint dry before removing the Ziploc bag and there you have it! You’re ready for homemade soap! If you really don’t want to make your own but love the look, I found something similar already for you to purchase.